All you need is an active account at Alza.cz and a valid ISIC / ITIC card. Failed to verify your card? Student discounts are already active. Do you like these offers? Why keep it to yourself? Share with your friends! What is an ISIC/ITIC card? 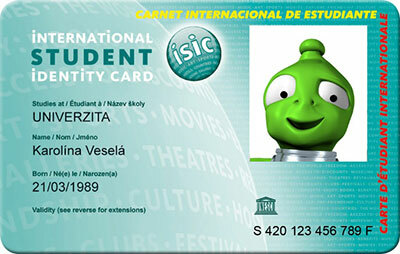 The ISIC card is the only internationally accepted proof of bona fide student status. The ISIC Association is the non-profit organisation behind the International Student Identity Card (ISIC), and has been endorsed by the United Nations Educational, Scientific and Cultural Organization (UNESCO) since 1968. 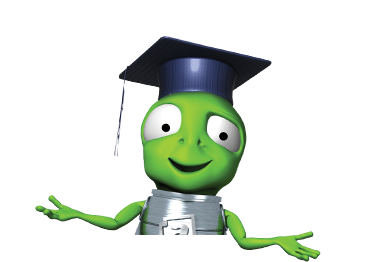 The ITIC teacher discount card is the only internationally recognised ID for teachers. Learn more about ISIC and ITIC. How can I apply for an ISIC/ITIC card? You can apply for a card via your, the ISIC sales network in your country, or online at the ISIC website . How do I determine the validity of the card? Card validity is always indicated on the front of the card, and extended annually through holographic revalidation stamps by your school/university. These are stickers that incorporate the ISIC logo and validity date. In the event that the validity expires and the revalidation stamp for the current academic year (ie. 12 / 201X) is missing, the card is invalid. Where can I find the card number? The card number is on the front of your card, under the photograph. It consists of the first letter defining the type of card (S-Student, T-Teacher) and 12 digits or letters. I entered the correct card number, but it failed to verify. What should I do? Check the validity of your card. Check that the name on your My Alza account is the same as the name on your ISIC/ITIC card. Make sure you have entered the correct card number without spaces. Where can I get more help if I have more questions? If you still have more questions, contact GTS ALIVE, sro, who is the official issuer of international student identification cards for the Czech Republic. On which products are the student discounts applied? Student discounts apply to a range of specially selected products, which can be found above. How do I know that student discounts are active? At the top of the page you will see information about all of the active student discounts. Are the prices shown with the student discounts applied to them? Yes. Discounted prices are shown for each product currently on offer, and are only displayed once you have registered. Is it possible to combine student discounts with other discounts? Student discounts cannot be applied or combined with other offers unless otherwise stated. Can I get the discounts when making an express purchase? Can I still receive a student discount when purchasing at a branch office? Student discounts are only possible on-line using your Alza account with a validated ISIC/ITIC card. However, you can use order terminals at a branch to make on-line purchases or to register your Alza account with your ISIC/ITIC pass validation. On which products do I get the student price? On all products that are not already offered in the student discounts section. How do I find out which student prices are active? Student Discounts active will appear on the top right hand side of the Home Page. How much will a student discount save me? Discounts vary by specific goods up to 15% off, but for products already discounted and on special offer, the price is often so low that we cannot offer further discounts. Where can I see the student price? Once you are signed in, you will be given the student's pricelist, and you will see student prices applied to each product. If you want to compare the student price to the normal price, you must check the price before signing in to your account and after.